The Culture, Creative Industry (CCI), over the years, has been described as the untapped goldmine of the Nigerian economy and that if well harnessed can transform it.Unfortunately, despite the key role this sector is expected to play, it has over the years failed to meet the yearning of many Nigerians in terms of its catalyzing effect in the economy. The domestic economy is not impacted. The failure of government to improve infrastructure as well as empower creatives has meant that benefits of economic growth is denied the industry. 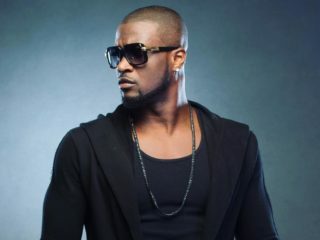 On March 21, 2011 over 450 members of the creative community gathered at the banquet hall of the Eko Hotel & Suites in Lagos. It was an event, which many, who attended, would not forget in a hurry. It was a meeting initiated by the former President Goodluck Jonathan with the objective of lifting the CCIs. • engaging the country’s vast human resources in literature, movies, music, theatre, TV programme, visual arts, etc as tools for building Nigeria’s image abroad. • setting up machinery for effective monitoring of all cultural agencies to ensure that they are well managed and performing to the best interest of the artistes and creative industry practitioners. Four years after the parley, nothing happened to the sector until Jonathan left. When the government of President Muhammadu Buhari came in, another opportunity to gather the CCIs came with a national summit on culture and tourism. Themed: ‘Repositioning Culture and Tourism in A Diversified Economy’, the summit held from April 27 to 29, 2016 in Abuja. • that action on the reviewed Cultural Policy for Nigeria and the Endowment Fund for the Arts has been unnecessarily delayed. Action must therefore be taken to establish and make them functional for effective development of the sector. Worrisome is that close to another election, which is 34 days away, most of the recommendations by different fora with former President Jonathan and President Buhari, governmen have not been implemented. Government has been lackadaisical in the provision of official platform for the promotion and gainful utilisation of culture policy. Very soon, presidential candidates will begin to hold sessions with artists to mobilise support for their candidature without concrete evidence of what they can do for the sector. 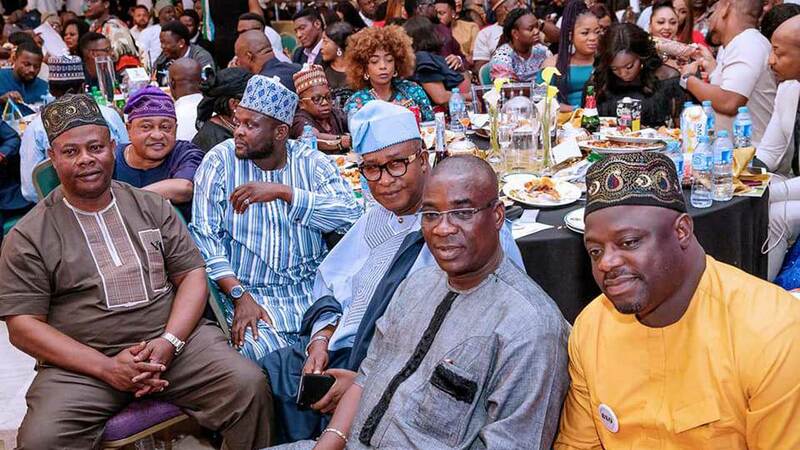 Late last year, the Northern Nigeria Musical Artistes kick started support for President Buhari’s change agenda at a function organised by wife of the President, Aisha Buhari, to showcase her husband’s achievements. The same scenario played out when President Buhari hosted artists in Abuja. However, the strange thing is that none of the artistes at these events articulated a position paper of their sector on what Nigerian artists. Nobody reminded President Buhari that the recommendations of culture/tourism summit is gathering dust in Alhaji Lai Mohammed’s office. Two issues are germane to the growth of the sector: Culture Policy and National Endowment for the Arts.Years after the culture policy was formulated, there has not been the required review or full implementation of policy. It still remains bogged down by wasteful bureaucracy both at political and technocratic level. Since 1988, when Nigerian formulated its cultural policy till date, gaping loopholes exist, which hinder the promotion of culture as documented in the policy.Though, government has been able to grant most segments within the creative industries including Nollywood conditional access to pioneer status incentives, it is not the same as Endowment for the Arts. Pioneer status is a fiscal incentive provided under the Industrial Development (Income Tax Relief) Act, Cap I7, Laws of the Federation of Nigeria, 2004 (IDA). Eligible companies operating in designated pioneer industries and or producing pioneer products, which apply for and are granted pioneer status, are entitled to income tax holiday for up to five years – three years in the first instance, renewable for an additional maximum period of two years. In addition to income tax holiday, pioneer companies enjoy other benefits, such as the exemption of dividends paid out of pioneer profits from withholding tax.The federal ministry of information and culture, in 2017, created a $1 million venture capital fund to assist with better access to finance for stakeholders within the industry. As with most sectors across the economy, poor access to finance poses obstacle to sustained growth across the secto’s value chain. The problem of unemployment remains a menace in spite of efforts at tackling it by the current administration; thus, the need for more jobs is paramount this year. CCIs want to create more jobs.Recall that the administration of President Buhari, hinging on diversification policy, have seized various fora to persuade Nigerians on the need to jettison the non-oil sector and embrace agriculture or the creative industry owing to its capacity for massive job creation. Culture is both an enabler and driver of sustainable development. Cultural and creative industries (CCIs) generate yearly revenues of US$2.250 billion and global exports of over US$250 billion. Moreover, these sectors often make up around 10% of national GDP and employ more people aged 15−29 than any other sector. Culture has also the potential to enable key development goals. According to the national accounts for the first quarter of 2017, the entertainment industry grew by 12 per cent year-in-year. However, this is from a very low base as the sector accounts for just 0.3 per cent of total GDP. Nollywood is said to be the second largest employer in Nigeria after agriculture. Global interest in contemporary art from Nigeria and Africa is on the rise and it will continue for a time to come. With interest in Nigerian arts —- traditional and modern reaching a great height and recording prices in international galleries, auctions and homes, there is, thus, a need to galvanise the sector for the global market. 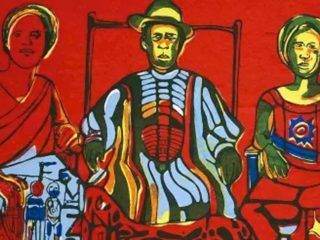 The volume and value of artworks by Nigerian artists at African auctions have risen steadily in the past five years. In that period, most of these artworks have been sold at Arthouse, the 780 artworks auctioned there during the period 2013-2017, represent 68 per cent in volume of all artworks sold, reports suggest. Returning stolen art will also be in the front burners. It has for a long time being part of a wider campaign for reparations from Western governments to countries that endured slavery and colonisation, which contributed significantly to wealth of the west and underdevelopment of colonised societies.Nigeria will be more involved in the discussions this year since such effort in Benin Republic yielded fruits late last year. And while it is insulting to borrow items, which we’re actual owners, there is, unfortunately, a growing acceptance among African governments that such deals, are the only way western museums will let go of pieces that attract millions of visitors. Led by Edo State government, Nigeria will pursue this alternative vigorously this year. The governor of Edo state had told the media, “whatever terms we can agree to have them back so that we can relate to our experience, relate to these works that are at the essence of who we are, we would be open to such conversations.”Obaseki said that work on the Royal Benin Museum would be expedited to house the artefacts. In April 2018, Ethiopia also agreed to a similar move by the Victoria & Albert Museum to have its stolen art loaned to them, saying it viewed “[the] goodwill gesture as a step in the right direction.”Obaseki and the Benin Dialogue Group committed to a number of proposals towards the return of the Benin artefacts and the establishment of the Benin Royal Museum in Benin City, in collaboration with local and international partners. The Benin Dialogue Group is a multi-lateral collaborative working group that brings together museum representatives from Austria, Germany, The Netherlands, Sweden and the United Kingdom with key representatives from Nigeria.A central objective for the Benin Dialogue Group is to work together to establish a museum in Benin City with a rotation of Benin works of art from a consortium of European museums in collaboration with the Edo State Government and the Royal Court of Benin, with the support of the National Commission for Museums and Monuments, Nigeria. In furtherance of its proud tradition of supporting Nigerian arts and culture, MTN through the MTN Foundation, will continue to remain relevant with its sponsorship of art programmes. Late last year, six critically acclaimed arts initiatives (five musicals and a visual arts festival) were staged across the country in the fourth quarter of the year. They include musicals such as, Fela and the Kalakuta Queens (produced by Bolanle Austen Peters), Legends (produced Gbenga Yusuf and Ayo Ajayi); Our Son, the Minister (produced by Bikiya Graham-Douglas); Simply Poetry (by Dike Chukwumerije), Oba Esugbayi (produced by Joseph Edgar) and the Life in My City Art Festival in Enugu. The sponsorships are as part of the Arts and Culture initiative of the MTN Foundation.The Foundation had also supported the public performance of world class theatre productions such as, Saro and Wakaa the Musical, as well as the Eko Theatre Carnival. Last year, the Director General of National Council for Arts and Culture (NCAC), Otunba Olusegun Runsewe, revealed he was a visionary culture administrator. In fact, on assumption of office, Runsewe made it clear that to market the Nigerian cultures for collective gains, a lot has to be discarded and policies geared at practical development of the sector. “The sector is tired of paper presentation, workshops and seminars. We want practicals,” he told The Guardian.With INAC and the most successful Nafestival of Arts and Culture (NAFEST) in most recent history, Runsewe has proven to be a figure in culture missioning .Patty Chidiac-Mastrogiannis of the Alexis Galleries has been in the forefront of the promotion of Nigerian art. In 2019, she will be working more closely with those she now terms ‘the next masters’ of Nigerian art. These are a set of artists who have been consistent with their works over the past two or more decades. Chidiac-Mastrogannis, who has devoted her time to organising Artists Residencies in Nigeria, involving artists from across Africa, hopes to do more to elevate the fortunes of artists and their works. Since the launch of Terra Kulture Lagos in 2004, Bolanle Austen-Peters has remained a focal point in arts development in the country. Every year, she tries to create some beautiful and enticing and exciting musicals. 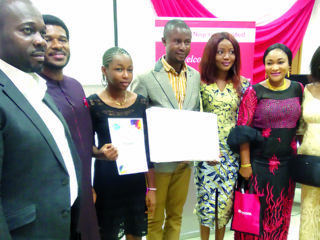 It is hoped that she would do more this year, thereby creating more jobs for Nigerian stage actors and actresses, dancers, stage directors, costumiers and more. Since she introduced ART X Expo, Tokini Peterside has become a catalyst for the Nigerian art market. The expo has become a bridge between collectors and galleries, both local and international. The fair is beginning to mobilise artists to enter into formalised relationships with galleries, thus aiding increased professionalism in the Nigerian art market. This year, ART X is going to play a pivotal role in the expansion and diversification of Nigeria’s art market, and in the establishment of Lagos as a cultural destination and art capital on the African continent.